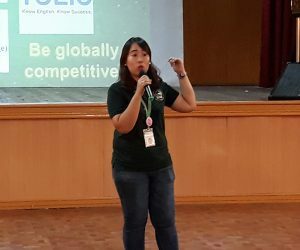 The Guidance Week with the theme “Power Guidance for the Millenial PIQCians” was held at Philippine Institute of Quezon City (PIQC) last July 24-27 & 30, 2018. 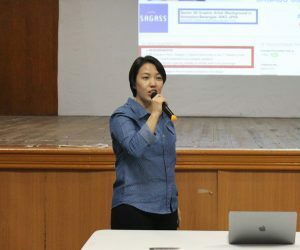 Several activities were lined up to celebrate the week and several guest speakers from various fields and industries were also invited to further emphasize the purpose of the events. The activities are aligned with the services being offered by the Guidance under the supervision of the APSAF. Day 1 (July 24) started with Mr. Juan Carlo Zozobrado who gave an interesting discussion on different Senior High School tracks and strands. According to him, students going to SHS should understand its general overview and how their choice of track and strand will affect their soon to be college course of study. Presentation slides and specific talk includes STEM, ABM and GA, the course alignment and possible career after college. 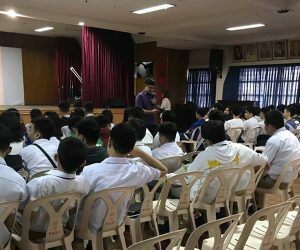 Day 2 (July 25) was blessed to have Dr. Jay Banzuelo of Far East Broadcasting Company talked about the importance of understanding the effects of Gadgets and Technology to students. He is and expert on values formation and can be heard during weekdays on 97.8 FM the Master’s Touch. He is also a celebrated speaker on various topics that impacts the students’ interests nowadays. 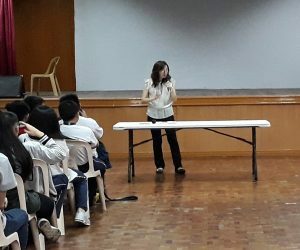 In the afternoon, parents were invited for a talk on Literacy and Technology by Ms. Michaela Angela Basa of Scholastic Books and a presentation by Mr. Reian Gonzales of selected scholarly written paper by students of PIQC which discusses some of the common concerns of students in the academe. 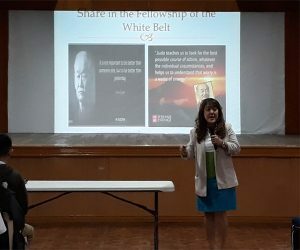 Day 3 (July 26) was fortunate to have three speakers to talk on three topics which is in connection to “Being the Best Person You Can Be.”. 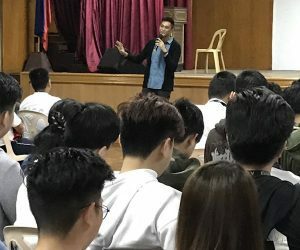 First speaker is Prof. Mike Cariño, an author of inspirational books, was able to capture the student’s thoughts on how to bring out their best and clarify issues that hinders them. Likewise, Mr. Allan Rillera talk about determination among Grades 4-6 students. He emphasized the value of never giving up on the challeges of life as a student and a teen. And Mrs. Angeline Flores talk about the value of money, saving and happiness. 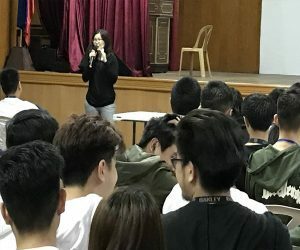 Day 4 (July 27) was participated in by Grades 9-12 for a talk on Career Professions. Professionals were invited to share their experiences and success in their chosen field of specialization and industry. Given the opportunity, students came up with meaningful questions addressed to the speakers. 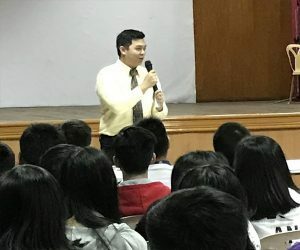 Mr. Sven Lim talked about Engineering and Robotics, Ms. Cynthia Chua clarified questions and gave additional information on taking up Accountancy and the CPA Board Examination, Atty. Romeo Movido shared his legal background giving emphasis on academic preparations and personal experiences and Dr. Kimberly Ang-Baluyot from St. Luke’s Medical Center answered questions on what is the best Pre-Med course to take and the value of not taking against the patient consultation the money spent to complete a medical course. Finally, Ms. Giselle Po emphasized the ins and out of Information Technology and the confusion aspiring students have. Day 5 (July 30) Guidance Week concluded with a 5-10-minute meaningful reflection and information of the Guidance and Testing Center and its services facilitated by the level guidance counselors. Finally, the much-awaited school shopping took place presenting different colleges and universities. 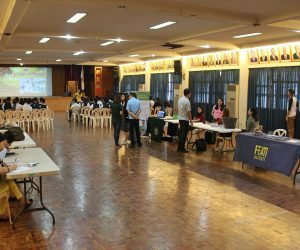 It was participated in by admission/marketing officers Lyceum of the Philippines, Colegio de San Juan Letran, Philippine Cultural College, Asian Institute of Maritime Studies, University of Santo Tomas, Far Easter University-Tech, University of the East and Far Eastern Aeronautical Technological Institute. Pictures of the event are posted below.